We have now added a new feature in your custom online database application creator to enable record-locking facility for your online database records. In the Add / Edit Entity form, you will now find an option to enable record-locking for that specific entity's records, as shown below. Once you check on the Enable Record Locking option and save the entity, you will now see options in the list view and in the details view to lock / unlock / request-unlock of database records. 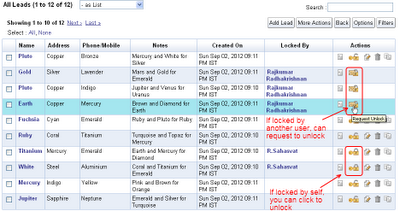 These options will be made available only for those users who have edit permissions to the record. 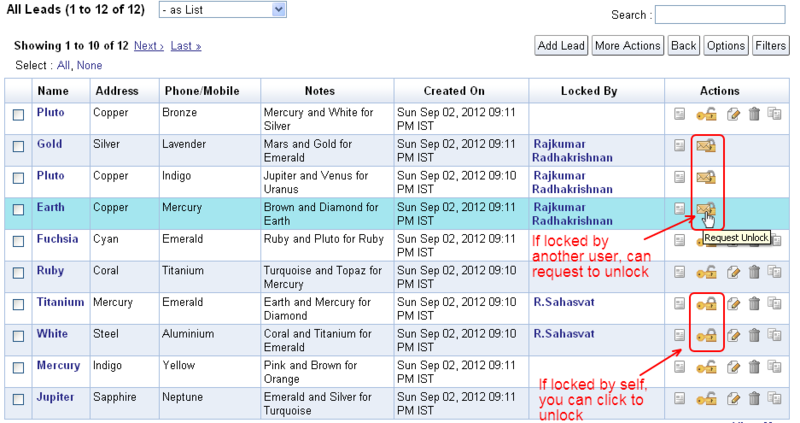 The following image shows all the database records in unlocked state, with a button under Actions to have them locked. When the records get locked, the action buttons would change to reflect their locked status. 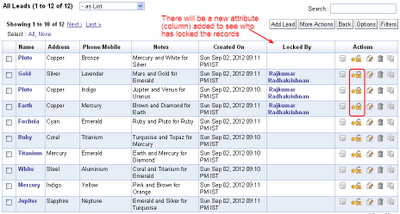 You can also get to know who has currently locked a record from the Locked By attribute, as shown below. When another user who also has edit permissions to the same record accesses the list view, the user will get to see the locked status. They will not find the option to edit / delete the locked records. They can request for the record to be unlocked. This will trigger an email to the user who has currently locked the record, in case of paid single-tenant deployments, while notification tasks will get added in the free version with Preview status. Admin users can unlock records locked by any other users, if such a need arises. All locking / unlocking operations are automatically audited and will be available under Admin > Audits. 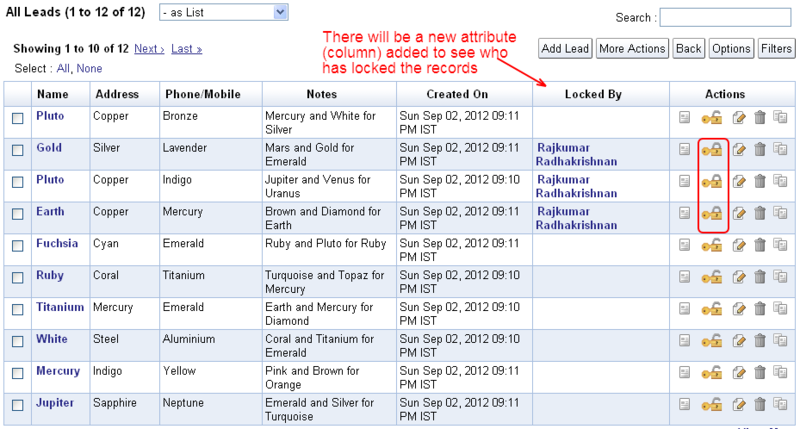 Record-locking is a premium feature available as a preview in the free version, wherein you can enable this facility for one entity (record type). If you are a paid single-tenant deployments customer, you can enable record-locking for any number of entities. Hope you like the new feature. Feel free to get in touch with your feedback and suggestions for improving iFreeTools, to help meet more of your business requirements.